As climbing arborists, we spend a lot of time up in trees. Exposure to wildlife, such as birds, is inevitable during our work. What many of us are unaware of is that pruning during certain seasons can actually be against the law if it disturbs protected nesting birds. Spring and summer are very active times for most wildlife. 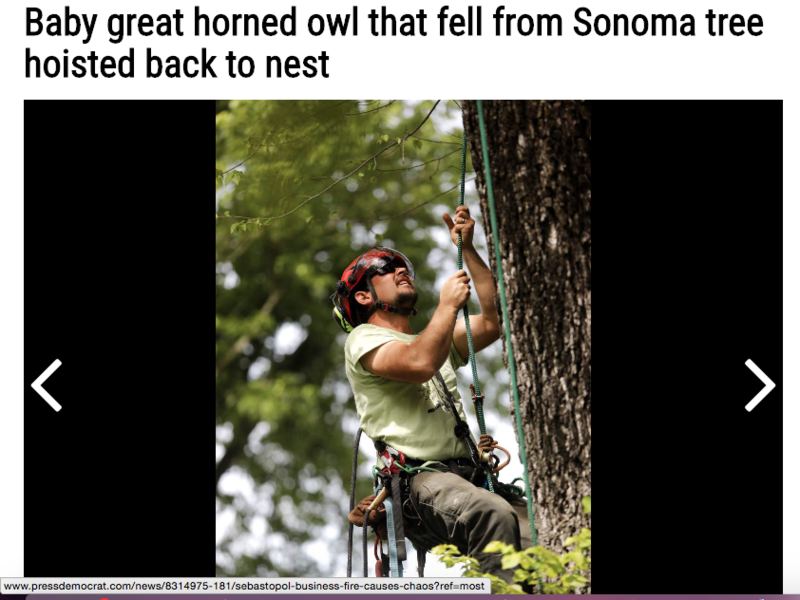 Many birds are nesting during this period and are vulnerable to disturbances from tree climbing and pruning. It is not always possible to do so, but it is best to prune in the fall and avoid pruning in the spring. We volunteer as climbers for the Bird Rescue Center in Santa Rosa and the Hungry Owl Project to renest raptors. We have been trained to handle raptors and get to release them back into nests once they have been rehabilitated. 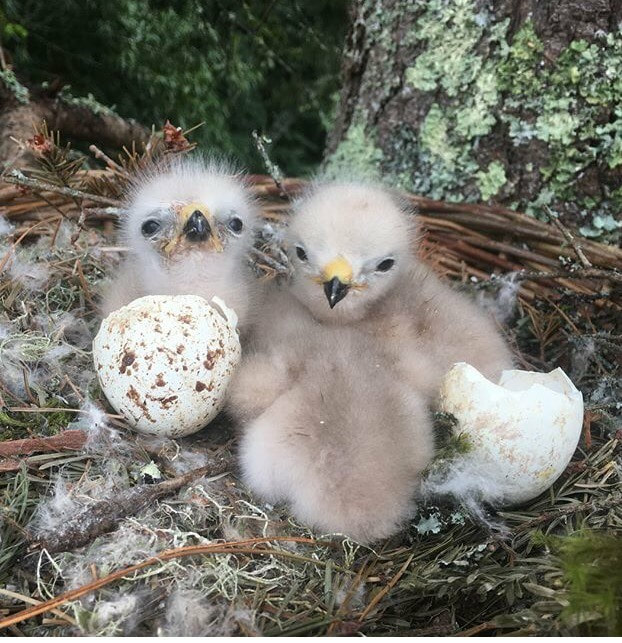 Provide these organizations with as much information as possible about the location of the found nestlings, including landmarks. 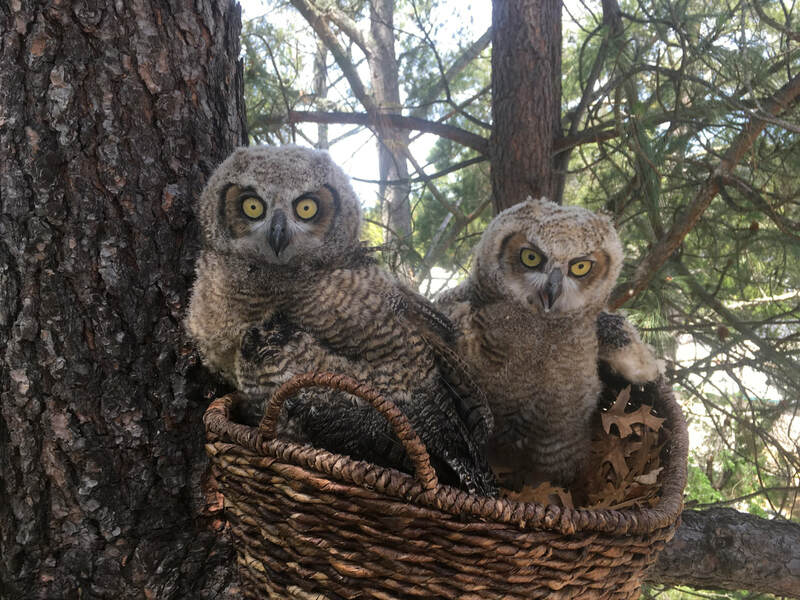 In order to reunite the babies with their parents, the new nest must be placed as close as possible to the original location and as quickly as possible. Removing a nestling from its family is an absolute last resort and should only be done if the bird is in grave danger. Many nestlings will be on the ground during the fledging period and are still cared for by their parents. 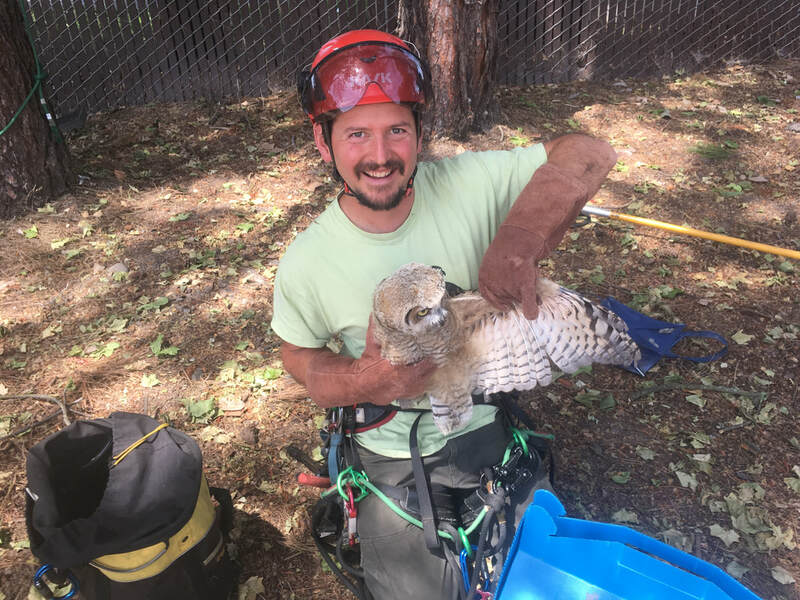 Wild animals require specialized care and diets that can only be provided by licensed wildlife rehabilitation facilities. It is a violation of federal law to keep wildlife - however well intentioned. Check out our renest featured in the Press Democrat!